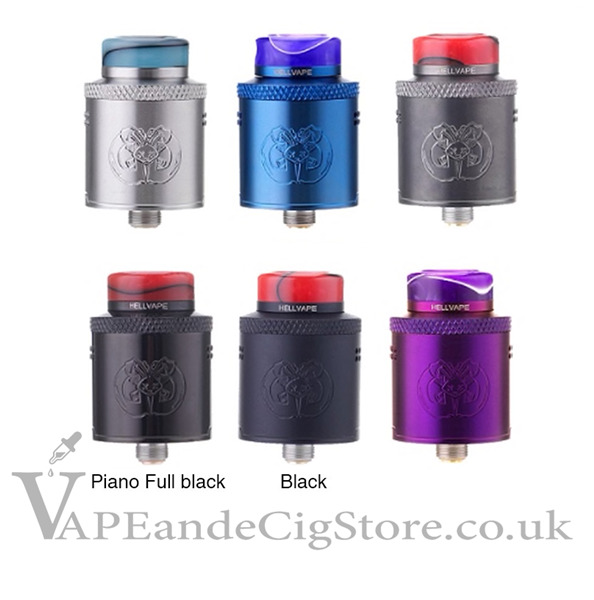 Hellvape DROP DEAD RDA Tank Atomizer is a collaboration with Vapin' Heathen and The Vapor Chronicles to create a unique RDA. Constructed by durable Stainless Steel with high-level design elements HellVape have come to known from, there is also an iconic logo etched onto the wall sleeve. With four large post holes for simple building of both single coil and dual coils, the 24mm DROP DEAD RDA is designed with innovative downward sloping airflow, and you can find 14 airflow holes in two rows to bring you extremely smooth and tasty vaping. You can accurately adjust the airflow to the tightest condition and standard positive pin and raised BF squonk 510 pin are included with deep juice well. 8 colors are available.